Tom Sweterlitsch is the author of The Gone World and Tomorrow and Tomorrow. He has a Master's Degree in Literary and Cultural Theory from Carnegie Mellon and worked for twelve years at the Carnegie Library for the Blind and Physically Handicapped. He lives in Pittsburgh with his wife and daughter. "I like to be freaked out and mystified simultaneously. 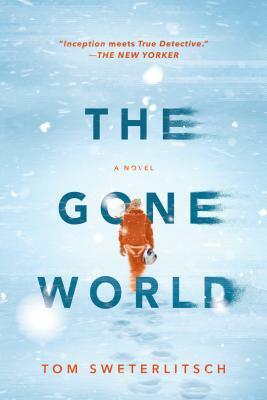 The Gone World, a gory time-travel thriller, does both in surprising ways....Inception meets True Detective, but it also contains elements of Solaris, Interstellar, Twin Peaks, Minority Report, and even Stargate. To all this, it adds some innovative time-travel shenanigans." --The New Yorker "Page-Turner"
“Time travel is a classic science fiction plot element, but it’s rarely used so well as in Tom Sweterlitsch’s The Gone World… Proof that superb world building isn’t only the domain of extensive series.”--The A.V. Club, "Best Books of 2018"